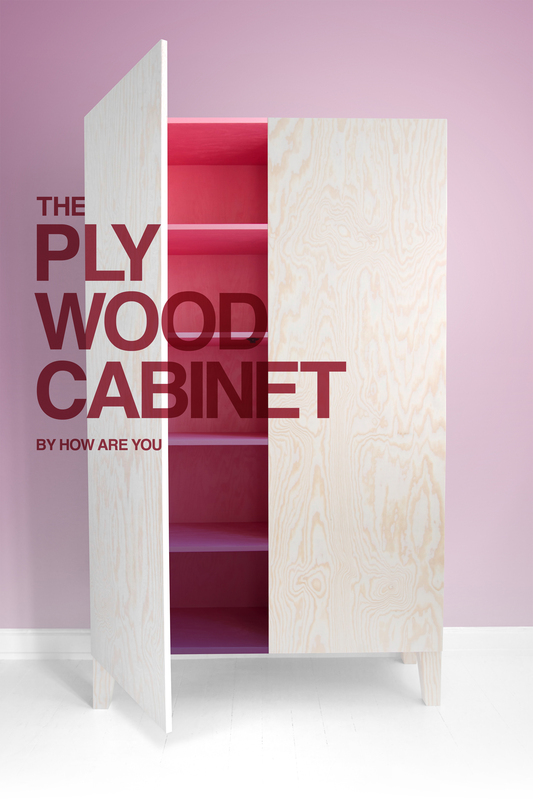 Yesterday evening, I received a beautiful email from the Swedish company “How are you” : the all new Plywood Cabinet is here. The same company just released its first piece of furniture and I have to admit I directly loved it ! It´s RAW, it´s BIG, it´s MADE FOR KEEPING STUFF IN. From the outside, the lines are clean and uncluttered and the look is natural. It can easily be welcomed in any interiors style. But once you open the door, it is as if you entered inside its body, the sweet pink feels so alive! As if the cabinet express suddenly all its personality! Made from finest pine plywood each is hand crafted by us local folk of Stockholm, Sweden. Available in 2 sizes, large (w120 x d36 x h200cm) and smaller than large (w95 x d33 x h135cm), we hand build on demand with your choice of colour to finish off the inside. Part of the furniture collection MADE FOR US by HOW ARE YOU. Do you like it as much as I do ? Then click “Like” and feel free to share, they more than deserve it !